The Rosary Society fosters devotion to the blessed mother, Mary, and to pray for world peace. St. Basil the Great Parish has a large and dedicated group that makes sure the rosary is said. 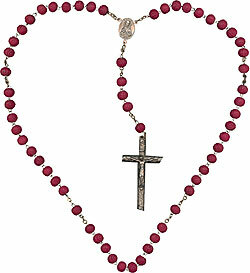 Many members say the rosary at home, and several say the rosary at church following the morning mass. Dues are a free-will offering. U.S. Conference of Catholic Bishops on Fatima and on our other popular devotions. 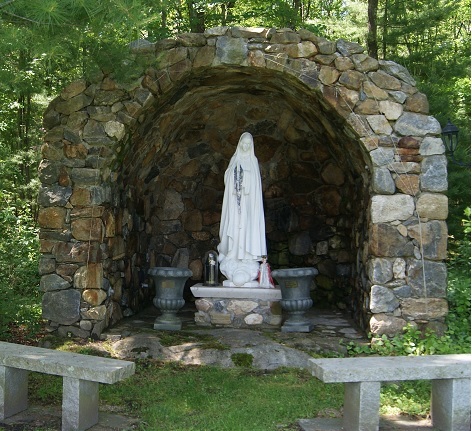 Statue of Mary in the grotto at St. Pius X Church.